Our bodies have become very acidic due to modern dietary and lifestyle habits along with the aging process. Also, chronic diseases result in excess acidity in the body. An acidic body is an ideal environment for diseases to manifest and thrive in. For example, accumulated acid waste in the joints encourages inflammation and arthritis, and the body turns acidic wastes into solids and stores them in fatty tissues resulting in hardening of the arteries and excess weight. Because of the predominance of hydroxyl ions produced, making the water highly alkaline, drinking plenty of ionized alkaline water will help dissolve accumulated acid waste and will balance your body pH. A primary cause of disease is chronic cellular dehydration, a condition, which leaves the body's cells in a perpetual state of weakness and defense. Ionized alkaline water is up to six times more hydrating than conventional water. This water has molecule clusters which are smaller, which allows for better penetration to the cells. As it hydrates body tissue, it pushes out toxins or anything else that does not belong. Thus, being a superior hydrator and powerful antioxidant, alkaline ionized water is very detoxifying. Free radicals result in damage to healthy cells and disease if unchecked. The ions in alkaline water are a rich source of electrons which engage in the chemical reactions necessary to neutralize oxygen free radicals. Bottled water is not necessarily healthier than tap water and yet it costs much more! Although associated with healthy water, bottled water is not guaranteed to be any healthier than tap water. Often the only difference is the added minerals which have no proven health benefits. A four-year study by the Natural Resources Defense Council shows that 1/3 of the bottled water tested contains levels of contamination which exceed allowable limits. Bottled water can also be slightly acidic, which may affect your body's pH balance. Finally, the environmental impact caused by the production and disposal of plastic bottles is harmful to our ecosystem. 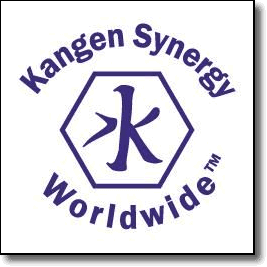 The Kangen system has been used in Japanese hospitals for over 30 years and is the only one certified by the Japanese Ministry of Health and Welfare. It is also the only worldwide system to receive the Water Quality Association Gold Seal. Endorsed by all of the major water associations. 99.9% titanium electrode plates --- the only system out there. Warranty by the manufacturer (not the retailer) and a full U.S. service department. In addition to regular alkaline water, the ability to get strong alkaline water (great cleaning agent and grease cutter), strong acidic water (potent anti-microbial properties), beauty water (astringent properties and skin and hair), and clean water (for taking prescriptions, making baby formula, water at meals). Various uses for the above include washing fruits/veggies, laundry, cleaning floors, acne, psoriasis and eczema, cuts, sunburns, moles and warts, sore throats, mouthwash, and cooking. Watch the short video at www.kangendemo.com and see the difference for yourself! Please contact Janice Doochin to receive more information on this amazing water system.